Dr Natalie Spillman completed her PhD at The Australian National University in Canberra, where she investigated Na+ and pH regulation in the malaria parasite, under the supervision of Prof. Kiaran Kirk. Her interest in parasitology was sparked and she relocated to Washington University School of Medicine, in Saint Louis, USA for postdoctoral studies with Prof. Daniel Goldberg. Here she used biochemical analyses and genetic manipulation to understand how the parasite modifies signaling lipids of its red blood cell host. 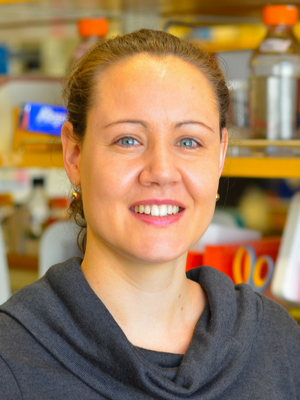 In 2016 she returned to Australia, to the laboratory of Prof. Leann Tilley at the Department of Biochemistry and Molecular Biology, University of Melbourne. Her current research focus is to untangle the molecular mechanisms of drug action and drug resistance.